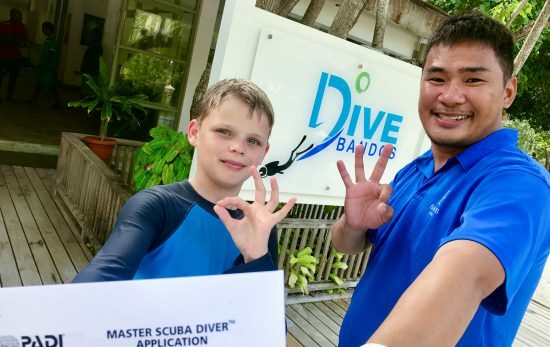 “Learning to dive has been a dream come true. When I am underwater, I am weightless. I am free; free of my injuries, free of sorrows, free to dream. The men and women of Patriots for Disabled Divers immediately made me feel comfortable, accepted, as part of their family. 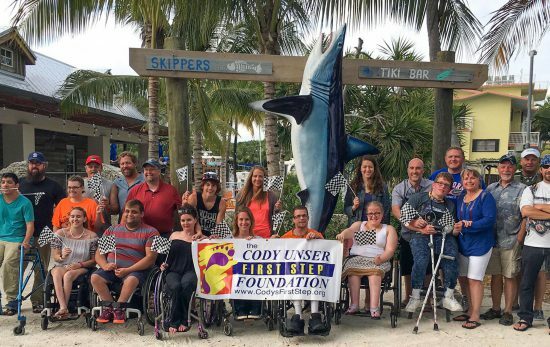 Their continued support and friendship has been unbelievable.” – Ernie S.
Patriots for Disabled Divers (PfDD) is a charity organization for disabled veterans that offers therapeutic scuba training and experiences to people with disabilities. 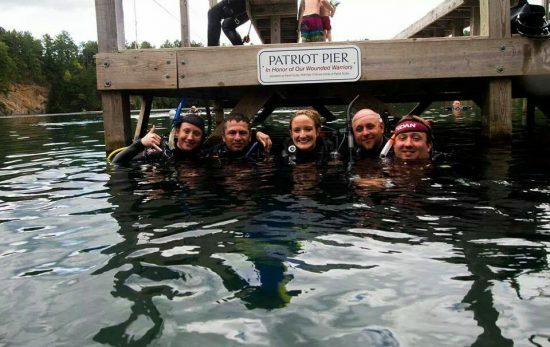 Founded in 2009 by Jeff Currer, a retired US Navy Captain and his wife Merial, Patriots for Disabled Divers has trained more than 600 wounded military veterans suffering from PTSD, TBI, amputations and other injuries. PfDD co-founder Jeff Currer has seen firsthand the therapeutic benefits described by researchers. 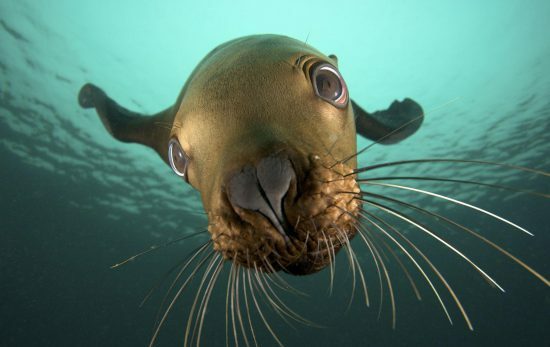 “Our divers tell us being underwater helps them filter everything out and just breathe. 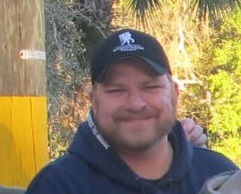 We’ve seen vets with PTSD change from emotionally shut down and compartmentalized to open and engaged. 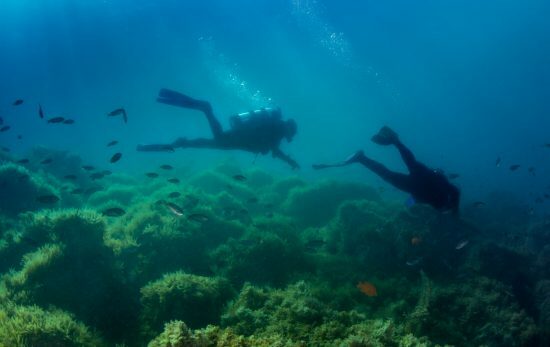 For disabled veterans, scuba reduces their anxiety, reduces headaches, and provides a feeling of freedom that was previously missing from their life,” says Currer. – Participants interact with others experiencing similar issues. Those suffering from PTSD often feel isolated with no one to turn to. Sadly, 20 veterans lose their battle every day according to The Department of Veterans Affairs. – Friends and family can get involved – as gear handlers, a dive buddy, or whatever role they want to play. – Completing a scuba certification is a big confidence boost. Once you learn to breathe underwater – what else is possible? “This program was phenomenal. It was more than just diving. The diving provided an ice-breaker…that ultimately led to discussions over the dinner table regarding our experiences down range and how we deal with the long term effects of those experiences now. 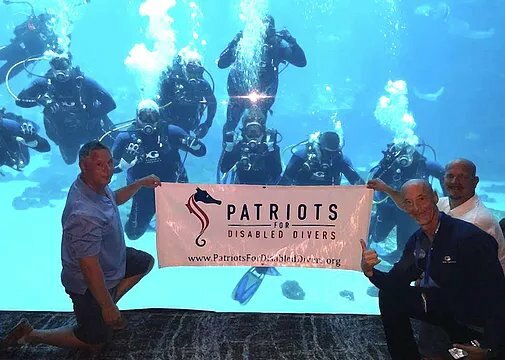 This was the beginning of the healing process.” – Ron K.
In recent years, Patriots for Disabled Divers has expanded its reach by partnering with PADI dive shops in California, Georgia, Illinois, Florida, North Carolina, Tennessee, Texas, Pennsylvania, and Washington state. 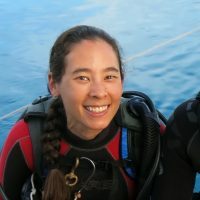 The organization’s goal is to pay 100% of the training costs and help a spouse, partner, or relative learn to dive as well so all divers have built-in dive buddies. Assistance for veterans and others seeking relief from physical or psychological trauma is funded solely through donations from caring individuals the diving and military community. Patriots for Disabled Divers offers scuba training to participants with disabilities across the United States. 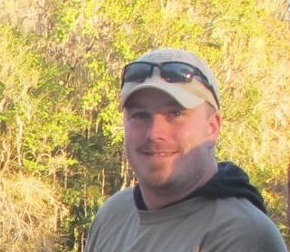 Learn more about Patriots for Disabled Divers by visiting patriotsfordisableddivers.org. Meet some of the men and women who’ve participated in their program, or search for a PfDD affiliate dive center near you. PADI® is committed to supporting global efforts and to being a catalyst for change through its Four Pillars of Change corporate social responsibility program. We will continue to spotlight amazing stories of triumph over adversity, illness and hardships that testify to diving’s healing power. In diving, many people have found hope for their futures and we aim to inspire others to find similar personal transformation and healing, both mentally and physically.